The Sauna Responsive Joomla template is Joomla 2.5/3.0 compatible, which ensures its great performance and amazing support as well as regular updates. 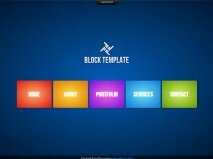 The theme can be customized pretty easily via the powerful admin panel and comes with dozens of helpful and useful features and widgets. 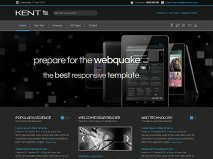 The responsive design will make your users happier when they use it on their mobile platforms and whatever browser they prefer. 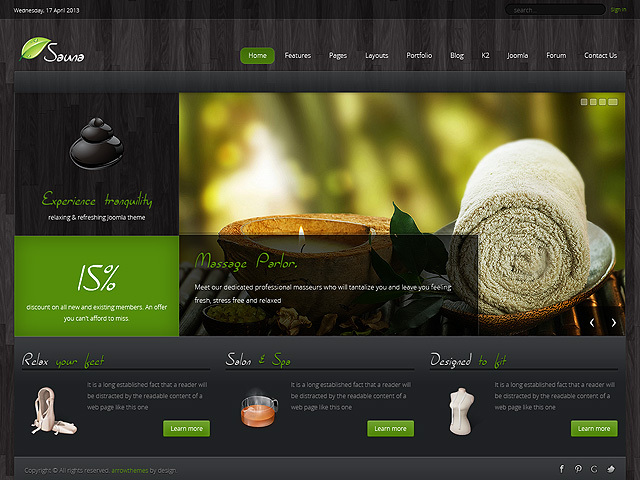 The Sauna Joomla template has more than 60 admin options. This allows not only applying changes easy and quick, but also making sure that you get what you want. You can easily upload your logo, choose the color schemes for you pretty site, add and remove pages, manage featured posts and sidebars. The 50+ module positions will ensure your site looks great and according to your taste. 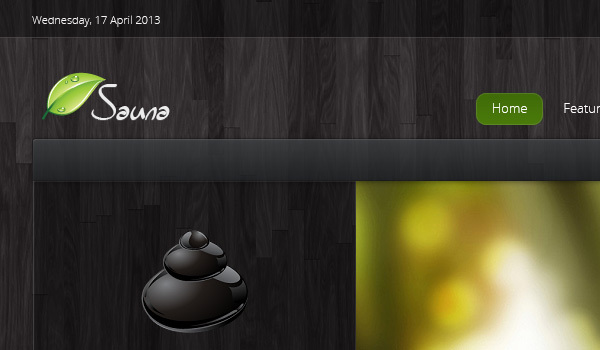 The Sauna Joomla theme has Kunena Forum styling for those of you who want to start a forum with their website, so people could comment and share their opinion about your services. This is one of the key elements of keeping a good connection with your online audience. 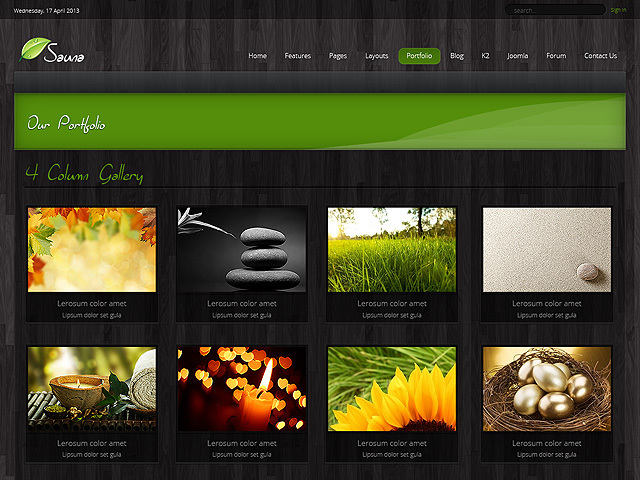 You can even upload a portfolio with images of your services so people can be allured easier. The 10 preset pages will give you an easy start and immediate results. There is a light and a dark variation available, but you can customize any of those two in order to make the Sauna Joomla template work for you. 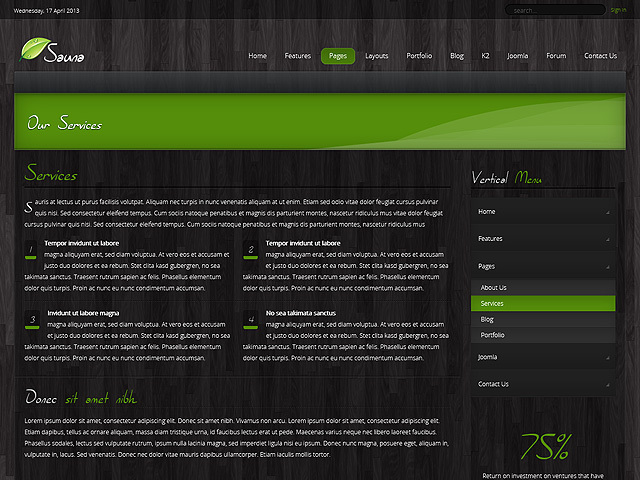 The multiple layout combinations and personalized module variations will help you a lot in building the site. Of course, there is a custom 404 Error page as well as a customizable offline page. The theme comes with easy-to-follow steps on how to install it and use it.